Choosing a Small Business CRM Solution by Alyson Stone - SalesPOP! 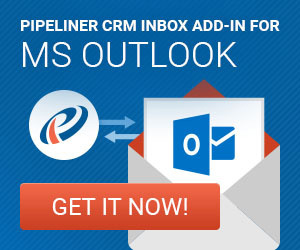 I’ve been working at Pipeliner CRM for a year now, and one of the biggest issues I see all the time is the serious confusion that affects small and medium businesses looking either to acquire CRM solution software or switch from a platform that isn’t working for them or their sales team and sales strategy. Video produced by TechnologyAdvice’s content team. They help companies Compare CRM Software and business technology. As a result, sales professionals responded by maintaining a separate book of business, independent of whatever unwieldy CRM systems or solutions they are supposed to be using. The result: Everybody suffers, because the system is only as good as the information input into it — and is not accurate or complete. Risk remains high because forecasts can’t be counted on. It’s an outdated, inefficient, frustrating, and generally unhappy situation. But the good news is that CRM tools are changing — for the better. Thoughtful developers are creating CRM software for a new generation of salespeople and sales managers. Developers are factoring in the needs of a sales force facing a new kind of customer and prospect. CRM — particularly Sales CRM for small and medium businesses — is evolving. What is a CRM when defined by my needs? What kind of CRM system do I need? Should it be categorized as a “social CRM”? What are the differences among online CRM, on premise CRM, and Cloud CRM? Is small business CRM solution really that different from enterprise-level software? Why do platform CRMs seem unwieldy and bloated? Do I need all the features? What do other people like me think about the CRM vendors they’ve researched? We wanted to create a guide to help people choose the CRM system that best suits them — regardless of brand. That’s why the Guide takes an ecumenical approach — leading any organization to the best choice by helping them explore this important decision from every angle and come to the best solution for their specific needs. We even include a printable checklist so decision makers can involve their management and/or their team as part of the vendor selection process. Imagine the result if sales managers and teams enjoyed using their CRM system, found it of value, and were able to trust it and embrace it! Sales pipelines would be smoother, forecasts more accurate, and teams happier and more successful. 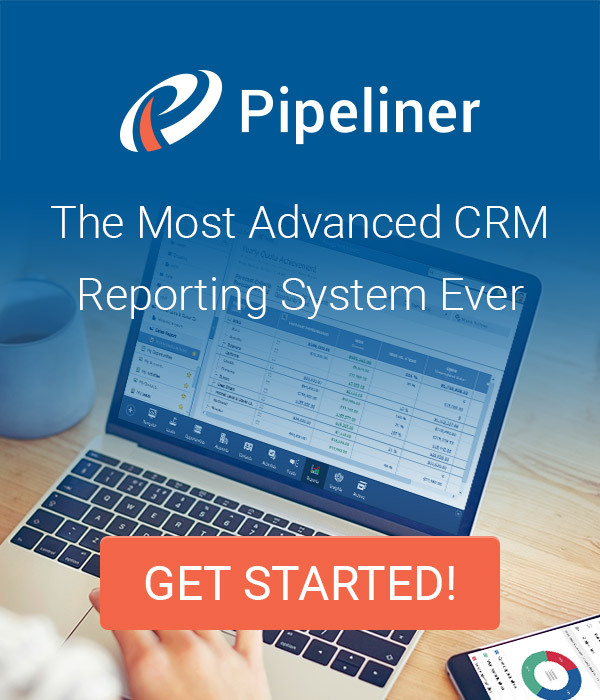 Disclaimer: We naturally think Pipeliner CRM is the superior choice if you are looking for a great Sales CRM system, but no one platform is for everyone. Finding the best small business CRM solution for your sales strategy can be challenging. What if you could prove the value of such a system before you bought it? Is there a way to make sure that your CRM purchase decision is the best one you could make? That’s the purpose behind our new guide: The Everything Guide to Choosing the Right CRM Solution. This guide is designed to raise your odds of a successful changeover to modern CRM — by providing a way to examine your needs, assess the many options, avoid hidden pitfalls, and make the right decision. We’ll walk you through all the moving parts (from exploring your pain points all the way through to implementation and training) and help you pinpoint the best choice for your organization. Your organization’s specific needs for a CRM Solution — don’t miss important goals! The benefits of taking a thoughtful, multi-participant approach to finding the right CRM system. 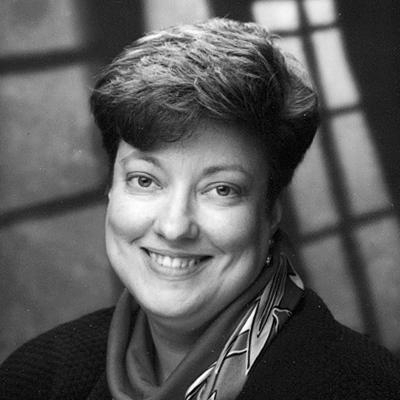 Coping with the challenges of change management for your team. Dealing with naysayers and opposition. How to avoid expensive (hidden) costs and unforeseen factors when choosing a CRM. Resources for CRM reviews — A list of 3rd-party review sites where you can see what other sales pros have to say about CRM vendors. Bonus: A comprehensive checklist you can print out to share with stakeholders and organize your requirements. During the production of our Guide, we met the team at TechnologyAdvice, and they have worked with us to support our ebook — offering further guidance that supports our goal to help our audience find the right products for their needs. We have been very impressed by TechnologyAdvice. They have a great blog and resources like whitepapers for anyone looking for product analysis, user reviews, expert recommendations, or original research to meet their software needs. 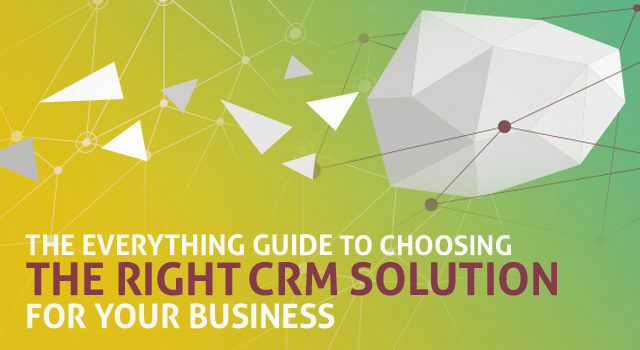 Download The Everything Guide to Choosing the Right CRM Solution and the accompanying printable checklist and let them guide you towards the CRM that will make your organization happier and more successful! Visit TechnologyAdvice to see more CRM reviews and get more CRM education!